Lord Nityananda foresaw the manifestation of a glorious temple in Mayapur, and now He is touring the world in order to invite others to make that manifestation a reality. You will be able to receive the moonlike benedictions of Lord Nityananda in the form of his Padukas (shoes) along with Lord Nrsimhadeva’s protection in the form of his Satari (helmet). Seating capacity is limited to 600 guests. Therefore, we encourage only one or two per family to attend. Darshan of the padukas will be made available at a later time, also. 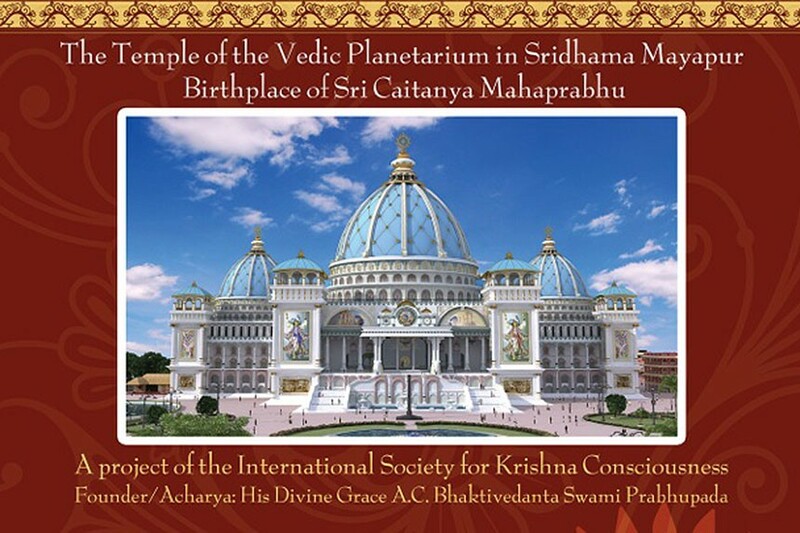 The Temple of the Vedic Planetarium (ToVP) team will be touring the UK bringing with them the mercy of Sri Mayapur Dham. A once-in-a-lifetime opportunity is available to all to invite Jananivas dasa (Head Pujari of ISKCON Mayapur) along with Lord Nityananda’s Padukas (shoes) and Lord Nrsimhadeva’s Satari (helmet) to your home. For more details and bookings please contact Sukanti Radha devi dasi on tovpuk@gmail.com. ISKCON UK GBC Praghosa das on behalf of the ISKCON UK devotees warmly welcomes the International TOVP team to the United Kingdom and wishes them a very successful tour in serving Srila Prabhupada.